Christmas is really soon you know. In less than a month we will be celebrating Emily’s first Christmas and our second (!!) in America. This year will be a bit different to last: we’d just moved in to our house with our 6 suitcases of belongings, two Ikea chairs and a bed. This Christmas I’m going to cook the full traditional turkey dinner with all the trimmings and we’ll have a real tree decked out lights and ornaments. I can’t wait. But before the big day there are some preparations needed. Not least, gifts. Here are some handmade gift ideas from my 52 crafts archives to inspire you to make something handmade this year. 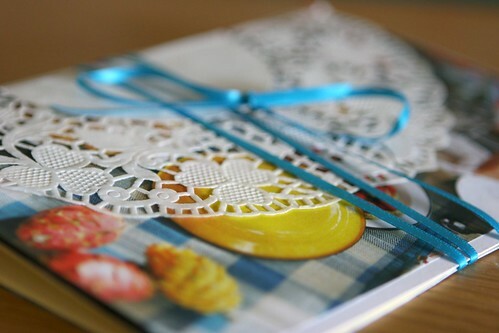 Handmade book – make a simple notebook for the budding writers, artists and list-makers in your life. Wire jewellery – a simple wire wrapped necklace (why not make earrings too?) using a pretty focal bead. 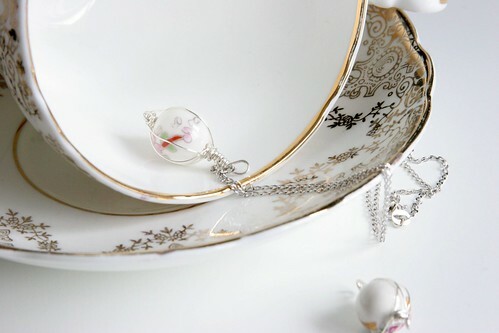 Soy teacup candles – who doesn’t love candles? 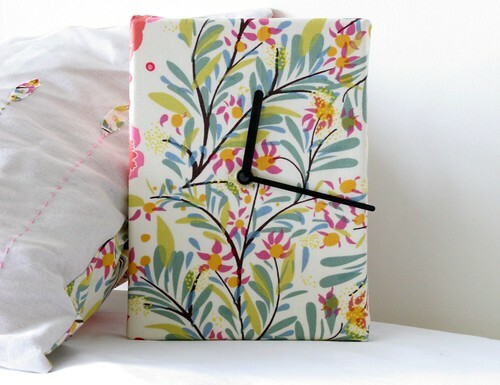 A handmade clock – your family will appreciate the time spent making this (pun deliberate). 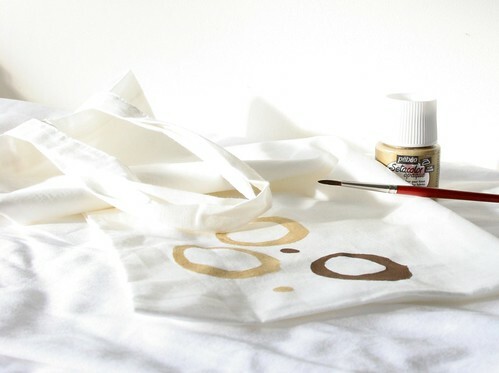 Painted tote bags – perfect for all your gift recipients – you could even wrap other presents inside them and save a tree. 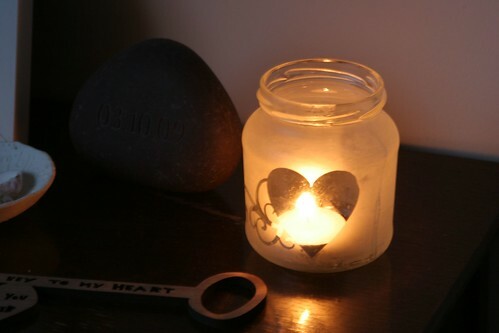 Etched glass candle holders – or you could etch a vase or a cookie jar. 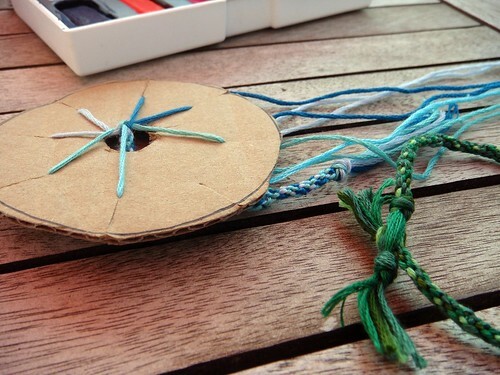 Recycled wool corsage – this is an easy peasy gift to whip up for all your friends. Kumihimo friendship bracelets – make for all your best friends. I hope this inspires you to make some gifts this year. 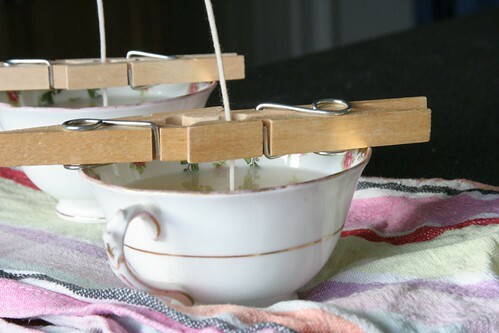 What are your favourite handmade presents to make and receive?